Your AAA experience has now arrived! Both members and non-members are welcome! 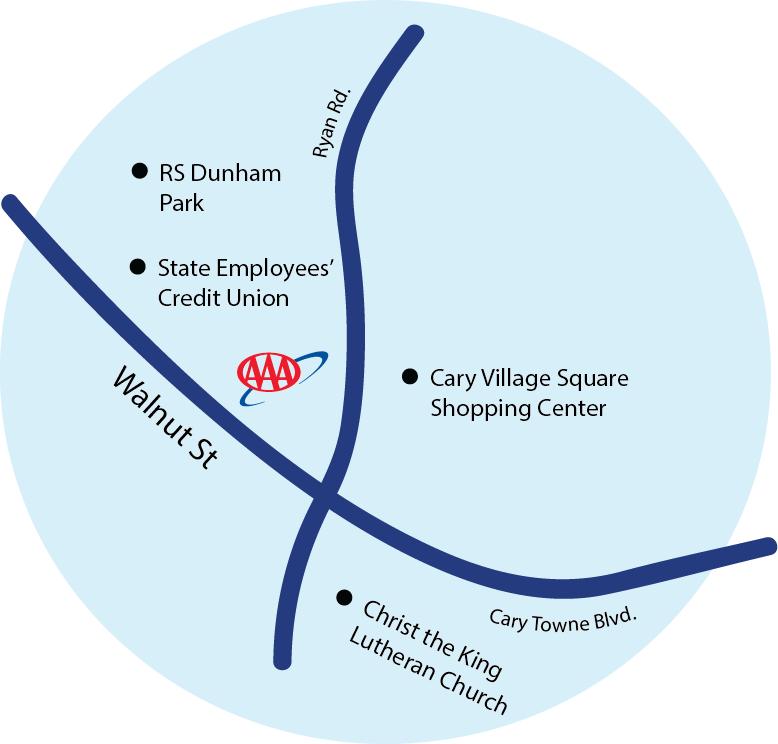 Saturday, July 14th | 10 a.m. - 2 p.m.
AAA Cary Towne Center will offer Car Care, Insurance and Travel services. First 50 AAA Members at event will receive a AAA Prize Pack. Prize Pack giveaway begins at 10am. Enter to win a Smart Home Package at the Grand Opening Event! Sponsored by AAA Insurance. Smart Home Package includes Echo Dot, Phillips Hue Lightbulb Starter Kit, Kasa Wifi Plugs. Save $100 off any new Cruise or Tour Booking made July 14th at the Grand Opening of AAA Cary Towne Center.